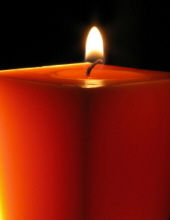 Celebrating the life of Howard James Zedel, Jr.
Obituary for Howard James Zedel, Jr.
Howard James Zedel, Jr., 83, of Jamestown, passed away January 30, 2019. Howard was born in Pittsburgh, on July 2, 1935, a son of the late Howard J. and Mary (Stewart) Zedel, Sr.
Howard retired as a truck driver for US Steel Union #242. He was a member of the Air Force Reserves and a graduate of Mount Lebanon High School. Howard is survived by a sister Beverly M. Jordan of Pittsburgh, a niece Debra Casiraro (Dan), two nephews James Mahony, David Mahony (Linda), great nieces and nephews Angela Mahony, Jessica Mahony, Matt Casiraro, Nathan Casiraro, great great nieces and nephews Sage and Knox Casiraro, Olive and Lola Weisenbach, Hazel and Ivy Nojoumi. Howard was preceded in death by a brother Steward Henry Zedel. Howard will be laid to rest in Mount Lebanon Cemetery. Memorial contributions may be made to Animal Friends, 562 Camp Horne Road, Pittsburgh, PA 15237. To send flowers or a remembrance gift to the family of Howard James Zedel, Jr., please visit our Tribute Store. "Email Address" would like to share the life celebration of Howard James Zedel, Jr.. Click on the "link" to go to share a favorite memory or leave a condolence message for the family.